One of the best things about owning flat-coated retrievers is the many friends we've made around the world. From long-time breeders that have trusted us with lovely dogs to owners who share common interests, we have met and made many new friends both in North American and overseas. While the initial "meeting" is often online these days, we have also had the opportunity to meet up with many of these friends in person. Some of these friendships have grown out of the photo-sharing site, Flickr, where we have been posting photos for 6 years now. Anna is a quilter. 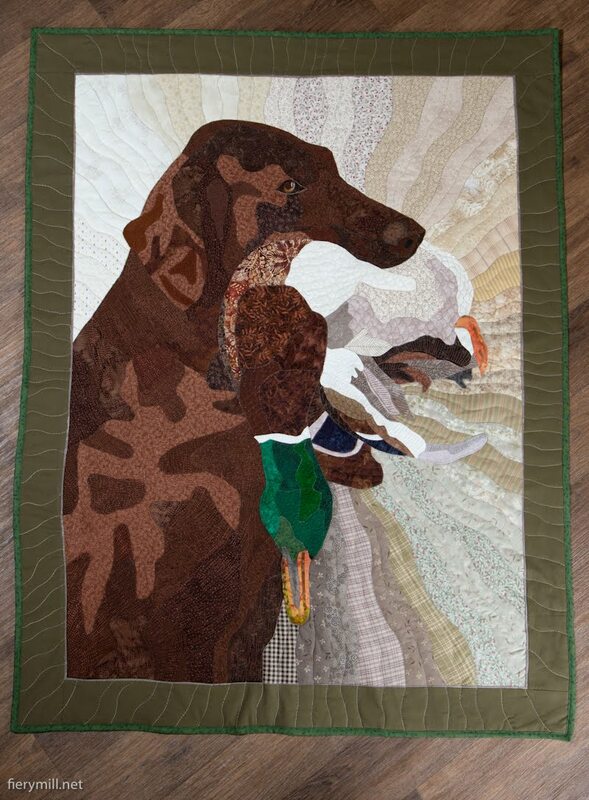 She chose a photo of ours of Teva to make this absolutely gorgeous quilt. 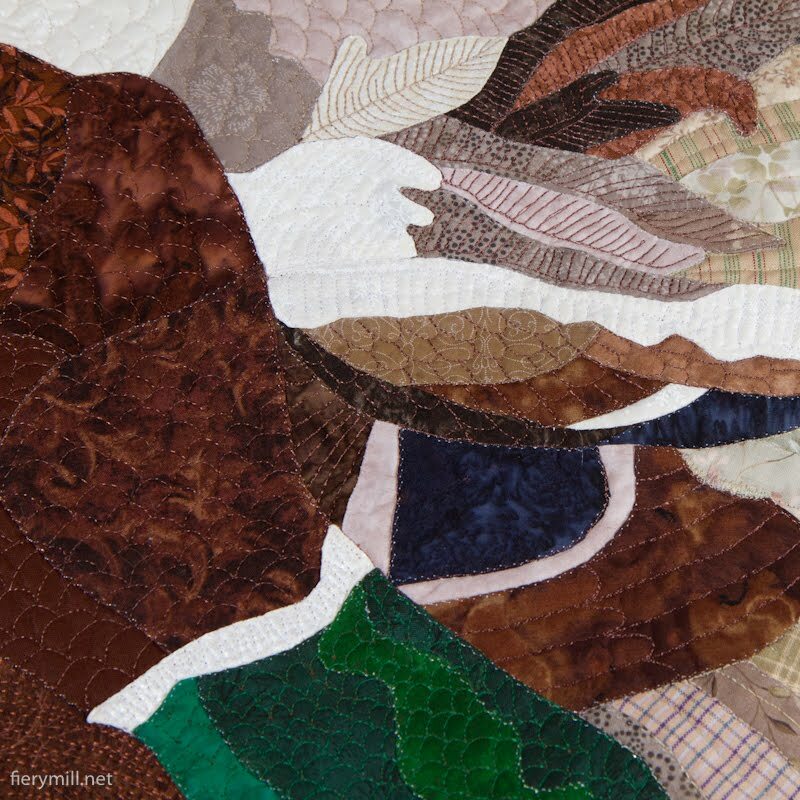 It was pretty amazing to receive photos of the quilt in our email. The detail is incredible. Anna writes "It includes 163 pieces of fabric. It took about 20 hours to quilt (fur, background, duck). I used almost half a mile thread while doing this. The eye is made of 4 pieces (plus some slight coloring with fabric paint). I'm crazy and spent 5 hours for making the eye." 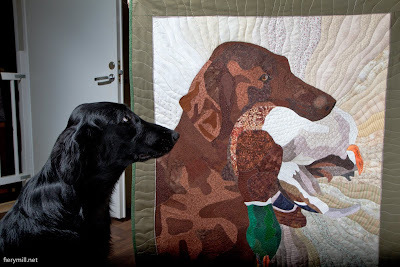 Their young flat-coat, Topi, looks slighty intimidated by the huge liver dog and mallard! that is the most beautiful quilt ever !!!! What a beautiful quilt. Amazingly detailed work, Anna is exceptionally talented. Wow. I've dabbled in quilting and I know how much work and how much skill it would take to make that. It is stunning!!! Master Agility Dog Title for Lindy!